The Trusted Clean 3 speed air mover operates in 3 different positions; 0, 45, & 90 degrees! This fan covers the widest possible area for quick drying in residential, commercial, and industrial settings. Each unit stacks for compact storage and and has a 25-foot power cord that wraps around the carrying handle. The 1/2 HP motor pulls a full 4 amps on its highest setting, providing 2400 CFM of air flow. The 3 speeds allow you to adjust the amount of air flow to the perfect setting for your individual situation. You can use the higher speeds to help dry carpets, and the lower speeds to help move air for things like drying floor finish and cooling down commercial facilities. With this 3 speed air mover, you get the ultimate in performance, portability and durability, all at an extremely economical price! Please take a look at our full line of carpet blower dryers for other models. Stackable design to save floor space in storage. 3 adjustable positions to get air flow where you need it. 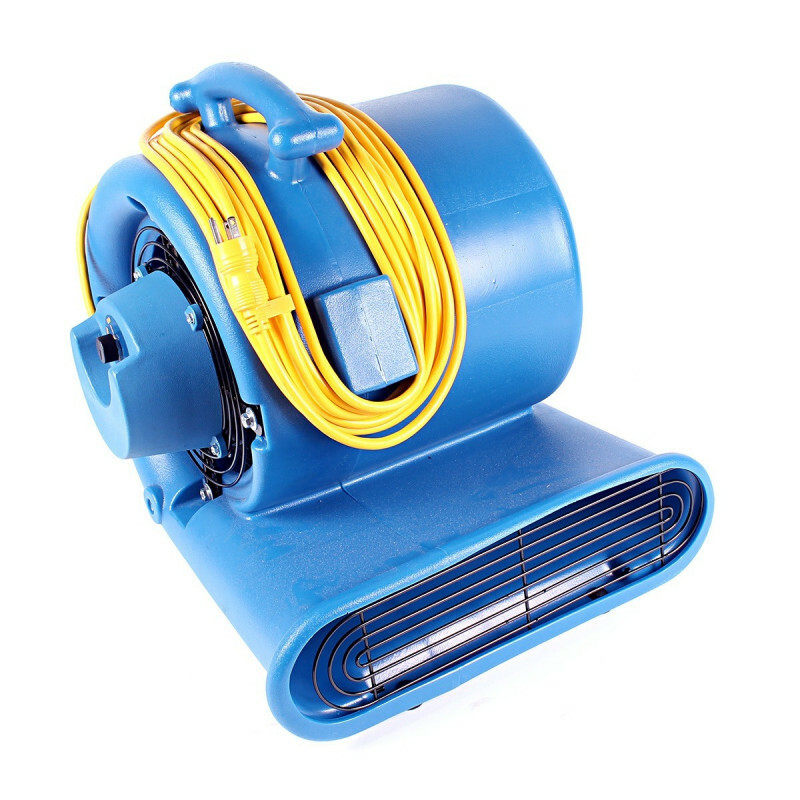 Customers who were interested in the Trusted Clean 3 Speed Air Mover were also interested in the following items. Pros: Powerful, Simple Setup, Great Mobility, Good Quality, Durable, Easy and convenient, Easy to maneuver., This is VERY easy to set up and use. This is a review for the Trusted Clean 3 Speed Air Mover.